TickboxSystems.com – BI, Analytics and Database Systems – complete solutions. We don't just give you nice charts so you have to figure out the rest. Solutions work from analytics down to business processes, and we help integrate the whole system. It may not be trendy to talk about databases but we don't really do one-off analysis. Maintaining data consistently is half the battle - get this wrong, and your results will be worse than just a mess. On-premises or cloud, we work with both and can advise how best to implement your ongoing data solutions, including keeping licence costs minimised. Self Service BI is not about getting frustrated fiddling around with formulas, it’s about having a full system presenting all the data and measures ready yet adjustable to cross-analyse and allow practical insights leading to actionable decisions. 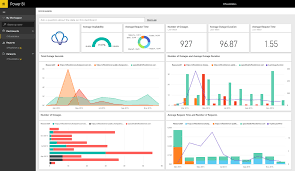 Analytics using the latest PowerBI and PowerPivot from Microsoft – we can use others but we think you’ll get the edge with these. It’s not so much about tech, it’s about the insights, decisions, actions and feedback you get from your analysis. Our experience and focus is on industrial business management and processes, not marketing. Data solutions can spiral out of budget easily, but 20 years of value delivery helps us ensure control so your systems pay for themselves.